Get your taste buds warmed up for this pizza! 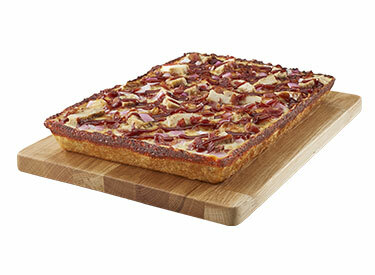 Grilled chicken breast, red onions, bacon cooked on a layer of Sweet Baby Ray’s® BBQ sauce – a great change of pace. Available in hand-tossed round, square pan or thin crust.